Multi-functional baby highchair. 3 position, reclining, adjustable seat. 5 point harness system. 2 trays. Regular tray and removable, dishwasher safe insert tray. Removable tray includes one cup holder and large main compartment. Main tray features one spacious, indented compartment. Removable, washable seat pad (100% polyester fabric with polyester foam padding). 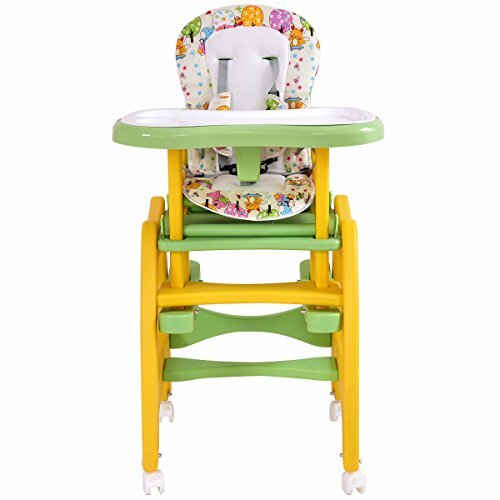 For use from 6 months (when your child can sit unassisted) and up in the highchair, and approximately 3 years when converted to a play table and chair. If you have any questions about this product by Item Boom, contact us by completing and submitting the form below. If you are looking for a specif part number, please include it with your message.